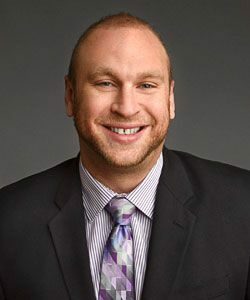 As the owner and clinic director of AllCure Spine & Sports Medicine, Dr. Anthony Alfieri brings a depth of clinical knowledge to his patients and colleagues. 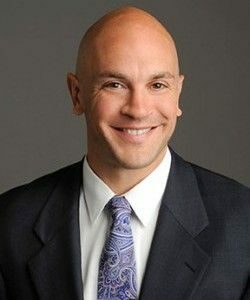 His Doctorate in Chiropractic and Master’s Degree in Clinical Nutrition enable him to educate his patients along many lines, such as pain management, optimal aging, weight loss, athletic performance, sports medicine, and prevention of orthopedic injuries. A key component of his success is his ability to integrate many platforms of pain management for his patients in order for them to improve their quality of life. Dr. Alfieri strongly believes in an integrated approach to physical rehabilitation and pain management. Having four different type of doctors under one roof, is not only convenient for the patient, but it is helpful for treatment plans to allow for fast and effective outcomes. He feels that each patient’s experience with AllCure Spine & Sports Medicine will maximize their ability to not only get better, but to stay better. Dr. Tabije, D.O., D.P.T., earned his Bachelor of Science degree in Psychology from Binghamton University. He then completed his Doctor of Physical Therapy degree from the University of St. Augustine for Health Sciences. He went on to earn his Medical Degree from New York College of Osteopathic Medicine and completed an internship at Nassau University Medical Center, where he received the “Intern of the Year” award. 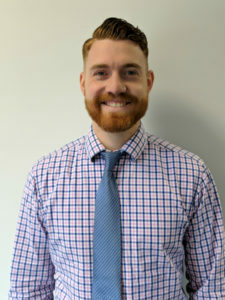 He continued his training as a resident in Physical Medicine & Rehabilitation at Rusk Rehabilitation, New York University Langone Medical Center. Dr. Tabije completed his fellowship in Interventional Pain / Muscoskeletal Medicine at Rutgers – New Jersey Medical School. Dr. Tabije’s diverse background helps to ensure fast and efficient results for each patient. Elizabeth Dowd has been delivering quality compassionate care to physical therapy patients for close to 20 years. Graduating with high honors from Union County College in 1998, Elizabeth has worked with acute/sub acute/outpatient clients, with excellent outcomes. In her free time, Beth enjoys exercising, playing golf, swimming, going to the beach and listening to music. Nita Londhe is licensed in Acupuncture, both nationally and in the state of NJ. 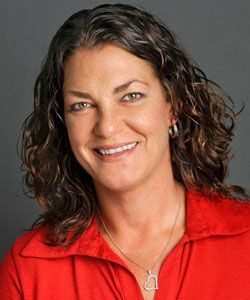 She earned her Master of Science in Traditional Oriental Medicine in 2001, from one of the top ranked Acupuncture schools in America – Pacific College of Oriental Medicine. She also earned her Bachelors in Psychology from Rutgers University. She has extensive training and experience in treating musculoskeletal conditions and fertility. She was a student of Dr. Richard Tan, studying the Balance Method. She also studied Master Tung Style Acupuncture with Dr. Wei Chieh Young who was a direct disciple of Master Tung. So in addition to practicing the TCM style, she utilizes various methods she learned from the Masters over the years. 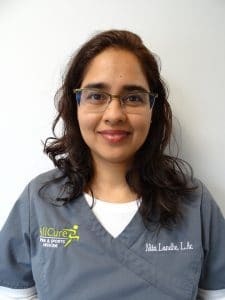 In addition, Nita Londhe is an on staff Acupuncturist at Reproductive Medicine Associates (RMA) of NJ, where she performs Laser Acupuncture and Acupuncture Anesthesia to women undergoing fertility procedures. 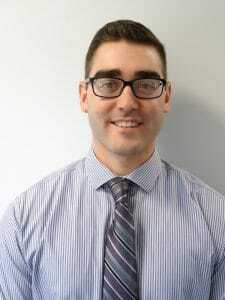 Victor Alfieri graduated with a Bachelor’s degree in Health Sciences from Monmouth University in 2011. Next, Victor went on to receive his Doctorate in Physical Therapy from Dominican College in New York in 2015. During his Doctoral studies, Victor was published in the Journal of Student Physical Therapy Research implementing a new stretch for overhead athletes in order to prevent shoulder injuries. 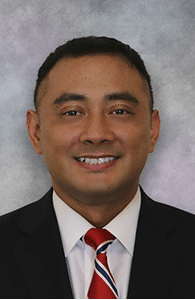 Victor has practiced in outpatient orthopedics for more than 3 years treating patient diagnoses ranging from neck and low back pain to peripheral neuropathy. Victor specializes in patient-centric manual therapy and exercise based treatment protocols. He prides himself on his ability to obtain a personal relationship with his patients and ability to find and set goals according to patients’ individual needs. In his free time, Victor enjoys playing softball, going to the gym, and traveling. Michelle Chen is licensed and board certified to practice acupuncture and traditional Chinese Medicine in New Jersey and in New York. She holds a Master’s of Science degree in Traditional Oriental Medicine from the Pacific College of Oriental Medicine in New York City as well as a Bachelor’s degree in Chemistry from Bryn Mawr College. 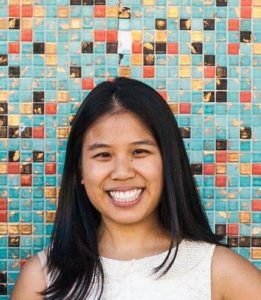 While interning in the Pacific College school clinic, Michelle worked with clients with infertility and women’s health issues. She focused on the development of various herbal preparations as well as specific meridian techniques to improve hormone balances. She has also attended courses with Randine Lewis, author of The Infertility Cure, specifically for managing fertility treatments for patients with advanced maternal age. During her year at PCOM as an intern, Michelle participated in an externship at Columbia University specifically for athletes. She saw a large number of athletes each week and utilized acupuncture to help with acute injuries along with strengthening the body to prevent future injuries. As a competitive rower in college and former competitive powerlifter, Michelle understands the needs of athletes and the importance of being performance ready. Along with her acupuncture and herbalist education, Michelle has received additional training in allergy remediation using the Advanced Allergy Therapeutics system as so to provide the most complete health support for her clients. She grew up in the Princeton area and her hobbies include exercising, power lifting, reading, creative food preparations and going to museums. Dr. Bill Walsh experienced the self-healing effects of the body through chiropractic care at a very young age. Growing up, Bill was a sports fanatic and played any sport that passed his way. Unfortunately, by the age of 15, he was unable to play high school sports due to excruciating pain in his lower back. Finally, Bill received chiropractic care and was cured in 3 months after suffering for nearly 2 years! It was then he decided he wanted to become a chiropractor. Bill went on to receive his B.S. in Biology with a concentration in chiropractic studies from Bloomfield College in New Jersey on a cross-country scholarship. He then went on to receive his doctorate degree from New York Chiropractic College in 2013. Dr. Bill enjoys outdoor activities including hiking, running, Biking and just about any sport available. Dr. Bill hopes he can pass on the relief he experienced through chiropractic to others in need of help.